Fenugreek & Testosterone - Overhyped Booster for Men! Home Nutrition Fenugreek & Testosterone – Overhyped Booster for Men! 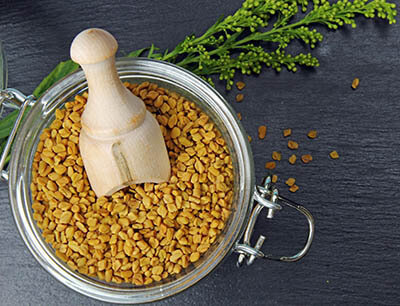 Often, marketed and a testosterone booster, Fenugreek is an herb that has been used as a cooking staple as much as an alternative health treatment for many years throughout Asia and Europe. Fenugreek broke into the fitness scene when one study supposedly demonstrated it to be a powerful and effective way to increase testosterone. 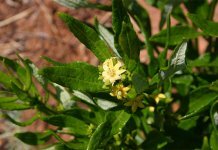 The idea that this herb is a great way to increase testosterone levels was backed up by claims that it also boosts libido. Naturally, this skyrocketed fenugreek into the spotlight but was this a deserved boost? Before we discuss whether or not fenugreek can increase testosterone, let’s take a look at other things that it may have a positive influence on. A study published in the Journal of Sports Science & Medicine tested three creatine-based supplements on strength levels during a 4-week training program. Subjects were given one of the three supplements: placebo and dextrose; creatine and dextrose; and creatine and fenugreek. Researchers concluded that the creatine with fenugreek was as effective at promoting strength increases as creatine with dextrose. I’d like to point out that while this sounds great, creatine has long been shown to be a way to boost strength. The idea that fenugreek enhanced strength may be a stretch. Several studies have suggested fenugreek may be an effective way to increase lactation and improve breastfeeding for new mothers. 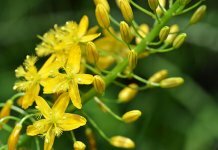 Does Fenugreek (Testofen) Increase Testosterone? 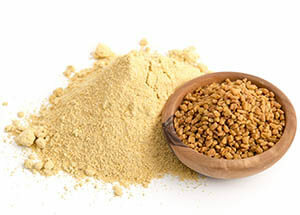 To this day, no study has demonstrated fenugreek to be an effective way to increase testosterone levels. The study that kicked off the herbs popularity was paid for by the company producing Testofen, a popular ingredient in many t-boosters. The irony is that even in the sponsored study, there was no mention of total testosterone levels being improved over the long term. For guys looking to boost an androgenic and anabolic environment, this may be the opposite of what you want as DHT is extremely androgenic, much more so than testosterone. There’s no arguing about the benefit of fenugreek as a safe and effective way to promote lactation and healthy breast feeding. As a testosterone booster, it has no place in the t-booster category. No legitimate and non-sponsored study has ever proven it to be a powerful way to increase testosterone. 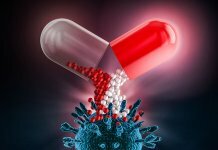 In fact, it’s just the opposite: studies have shown it doesn’t do anything for t-levels. 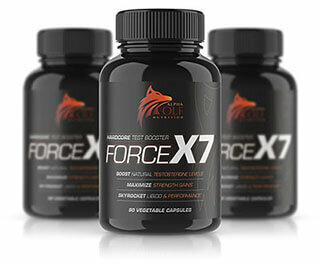 Force X7 by Alpha Wolf Nutrition is the only multi-ingredient, natural T booster we recommend and has NO fenugreek or testofen!